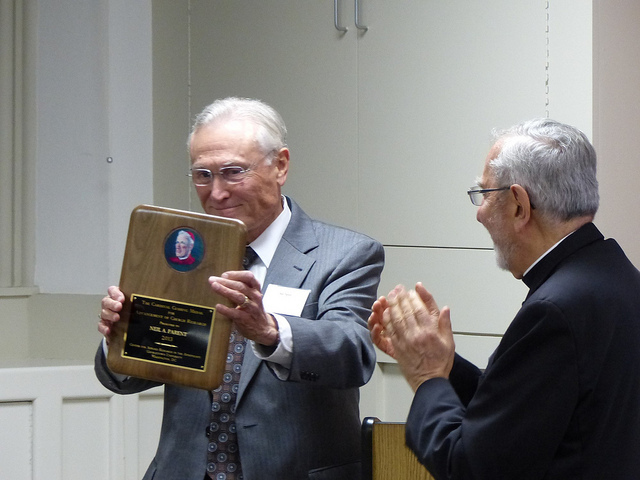 As the year has drawn to a close, CARA has received a lot of inquiries about the measurement of a "Francis Effect." 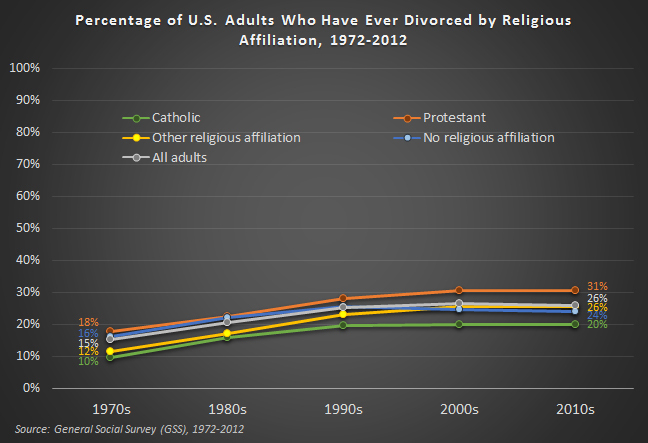 Are Catholics who left the faith coming back? Are more Catholics going to Mass and seeking out sacraments more often? 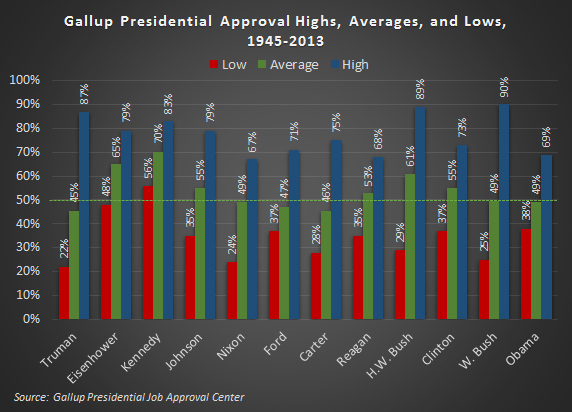 His approval numbers are certainly high (1, 2) but what else is happening? It’s really too early to know anything more than anecdotes. We have noted survey-based estimates of Mass attendance are steady (Pew as well). 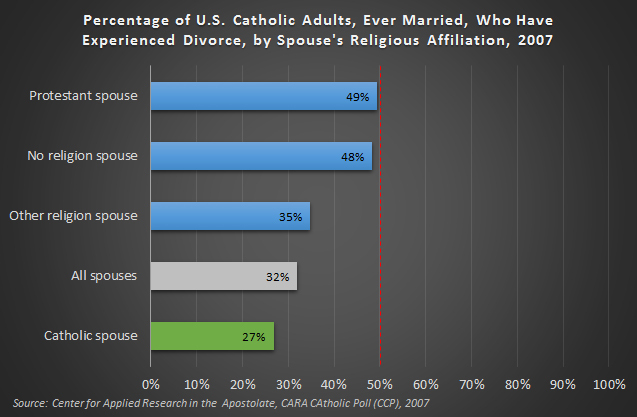 However, surveys have margins of error and the Catholic population is large (i.e., 3% of the U.S. adult Catholic population is approximately 1.7 million people). 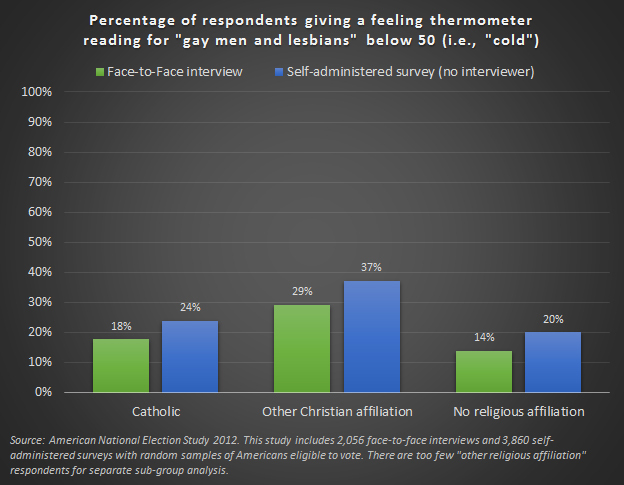 I think a Francis Effect is real, but isn't large enough to "see" beyond a survey’s margin of error (…yet?). 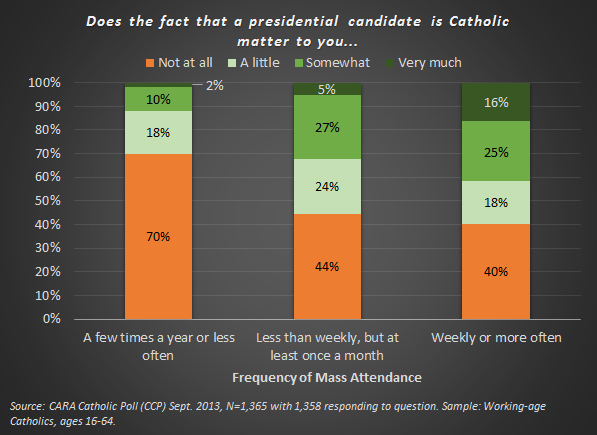 It may be more on the scale of tens of thousands or hundreds of thousands of Catholics coming back or attending Mass more often rather than the millions that would be needed to see something in surveys beyond the normal fluctuations we see poll to poll. Yet there also appears to be a "Francis Effect 2.0" that is clearly visible right now. Pope Francis is not just widely likeable (…his final Mass in Rio for World Youth Day ranks as one of the largest gatherings of people in history), he also appears to be playing an important agenda setting role. Looking back over our posts this year two stand out. These were statistical content analyses related to the economy, poverty, and unemployment. The first highlighted that news stories about these topics were either absent or relatively uncovered in the “media or record” in the U.S. despite being among the top concern of many Americans. The second revealed that President Obama has largely avoided rhetoric including mentions of the poor or poverty, in comparison to other modern presidents (...the President does not deserve to be singled out in comparison to other Democrats and Republicans currently in office who have been just as guilty of these omissions). The President has even promised that "the middle class will always be my number one focus. Period." By comparison, Pope Francis has put issues of poverty, wages, unemployment, hunger, and homelessness front and center like few other world leaders have in recent memory (...note however, Pope John Paul II and Pope Benedict XVI spoke of these as well. See the citations in Evangelii Gaudium). Is it purely coincidence that The New York Times has suddenly (re-)discovered homelessness as a centerpiece of coverage? Or that President Obama is beginning to talk more about poverty and citing Pope Francis in doing so? Perhaps, but the economy has certainly been far worse in recent years than it is now. Why the 180 degree turn at the end of 2013? Has concern over climate change waned? Are we all out of "cliffs" and "sequesters"? Has the national "Duck Dynasty Crisis" been resolved? Why and how has poverty become an issue for politicians and the media again now? Part of the answer, I believe, is in Pope Francis raising the issue of poverty to new heights. He’s put it back at the top of the agenda when few leaders had the courage to do so (1, 2, 3). 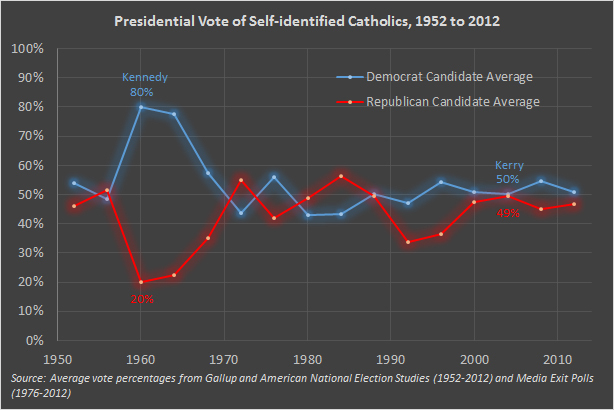 This is likely important to the many Catholics who put "helping those in need" at or near the top of things that are important to their sense of being Catholic in CARA's national polls (and their #2 Church giving priority). While the Francis Effect 1.0 will still be a focus of our research in 2014, I think evidence of the Francis Effect 2.0 is already quite clear for anyone to see. I hope 2014 is a better year for many in need because of it. 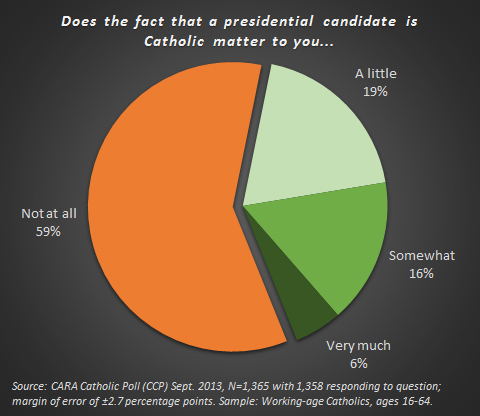 In a September CARA Catholic Poll (CCP) we asked a national random sample of working-age self-identified Catholics (ages 16 to 64) "What is your ancestry or ethnic origin?" 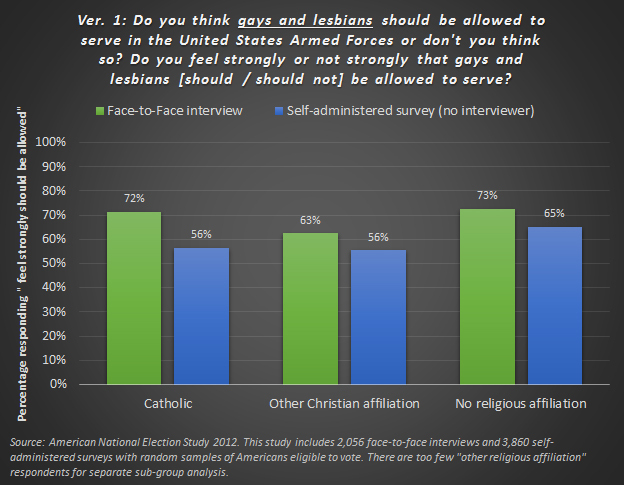 as an open-ended question (i.e., Census method). We identified more than 80 specific code-able ancestries from the 1,365 respondents (margin of sampling error ±2.7 percentage points). The most common response was Mexican (19.0%) followed by Irish (16.6%), German (15.7%), Italian (12.5%), and Polish (7.6%). 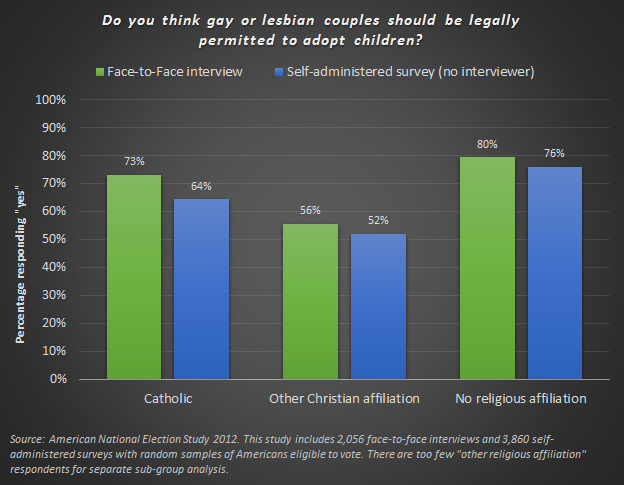 The figure below compares this Catholic sample to the overall U.S. population. In 2010, we posted a time-series analysis of ancestry for U.S. Catholics using the General Social Survey (GSS) entitled "On What Wave Did Your Ancestors Ride?" In the larger, more recent, and younger sample noted above, Mexican ancestry is now clearly even more common among U.S. adult Catholics under 65. 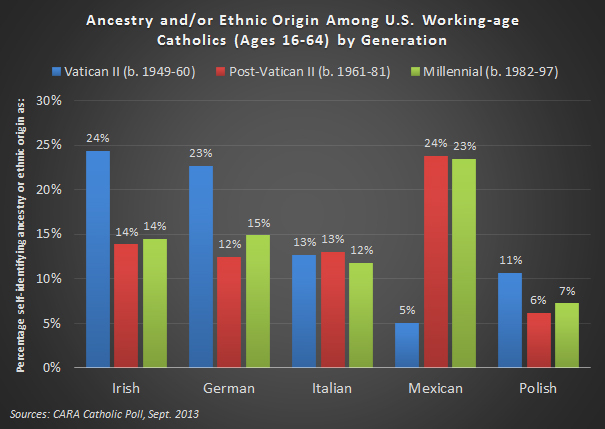 This is not unexpected given recent immigration patterns and greater racial and ethnic diversity among Catholic Millennials (born 1982 or later). 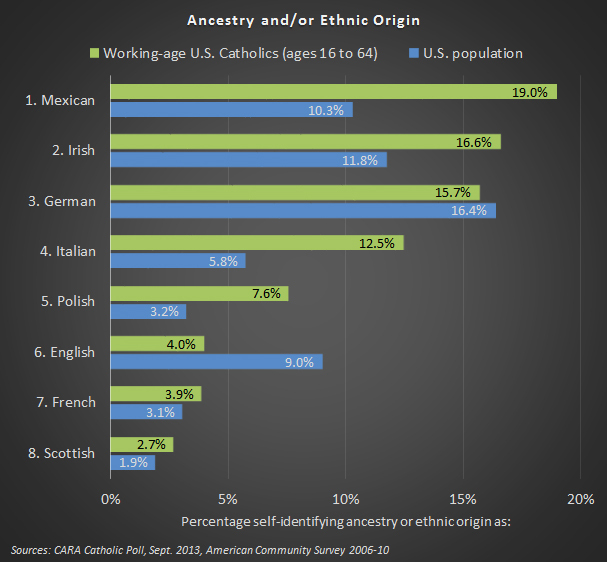 By comparison, in the 1970s, 18% of U.S. adult Catholics self-identified their ancestry as Italian (...now ranking 4th, with more Italian-Americans no longer self-identifing as Catholic) followed by 16% Irish, 13% German, 9% Polish, and 7% Mexican. Overall, 26% of all respondents indicated ancestry with one or more Latin American countries. Yet, some 37% of respondents self-identifies their race or ethnicity as Hispanic or Latino. About one in four Hispanic or Latino Catholics did not indicate ancestry to any specific Latin American country (27%). 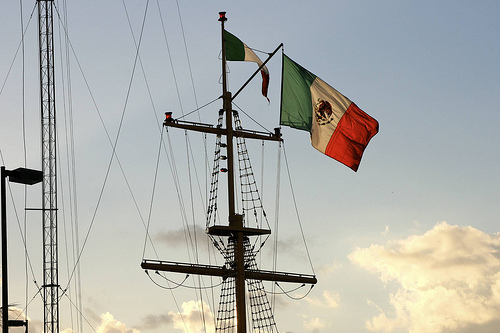 Fifty-two percent of Hispanic or Latino Catholics say they are of Mexican ancestry. More than a quarter of non-Hispanic white Catholics surveyed say they are of Irish ancestry (27%). Three percent of black or African American Catholics indicate Irish ancestry as do 2% of Hispanic or Latino Catholics. 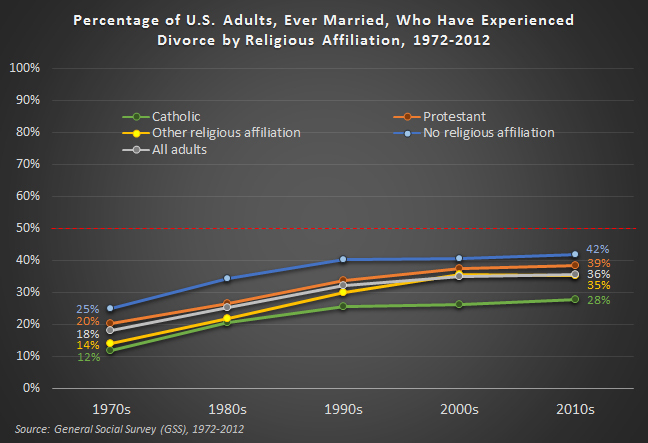 Yet, as shown in the figure below, self-identification with a European ancestry is more broadly falling across Catholic generations. Feeling a personal connection to waves of Catholic immigration from Europe in the 19th and 20th centuries appears to be fading a bit into the history books (...note this is most likely occurring through generational replacement rather than anyone changing their ancestral self-identities). On average, respondents identified with 1.2 ancestry groups. This does not vary across generations. 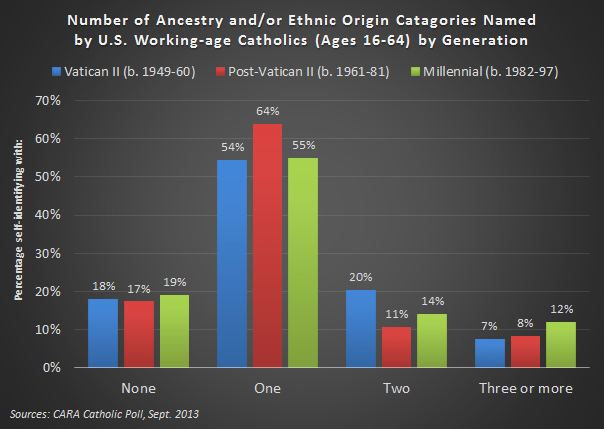 Thus, younger Catholics are not losing a sense of ancestry or ethnic origin in general. Across all generations, fewer than one in five don't have any ancestral identities. 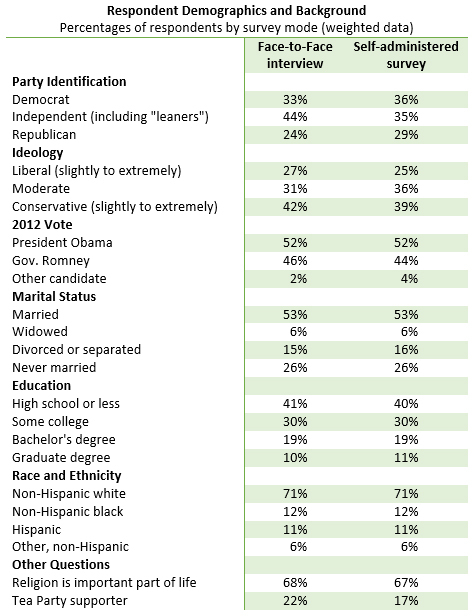 Majorities note just one ancestry group. More than a quarter of Millennials (26%) note two or more ancestry groups. In other recent research, CARA has identified 946 Catholic parishes in the United States (5.4%) who indicate that they currently serve a specific European-origin community including 248 Polish parishes, 236 German parishes, 199 Italian parishes, and 108 Irish parishes. By comparison there are 4,544 parishes (26.1%) who indicate that they serve Hispanic, Latino, and/or Spanish speaking communities. 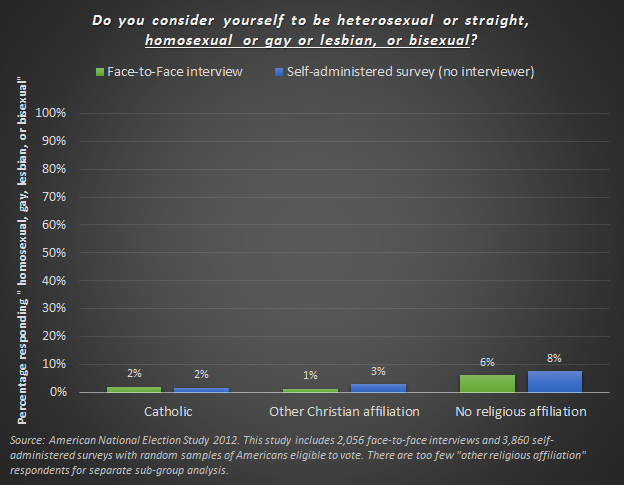 For more information about this topic and other related data see our recently released study, "Cultural Diversity in the Catholic Church in the United States." Ship mast image above courtesy of eschipul. Did you attend Mass this October? If you did not attend this month you don't need a costume tonight. You are already a "headless" Catholic. Most dioceses do October Mass attendance headcounts. 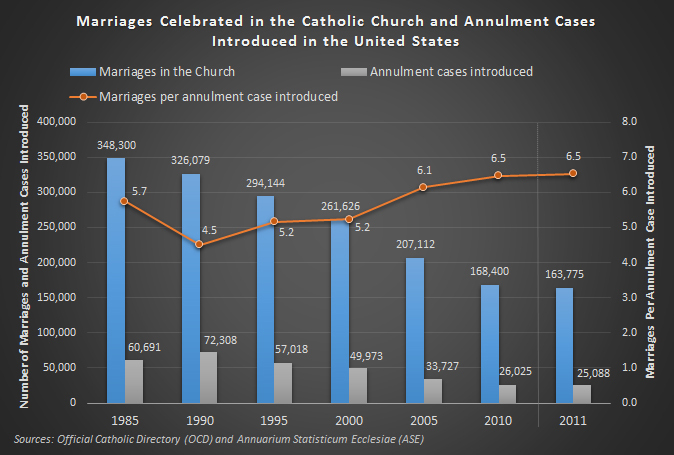 This allows them to track the number of Catholics year over year going to Mass. Some dioceses publicize these. Others do not. While CARA and others track Mass attendance in national surveys, these are often done at different times of year. We know that nationally, Mass attendance has been steady for about a dozen years. But how does Catholic Mass attendance vary week to week? Since we know so much about Mass attendance in October let's start there. 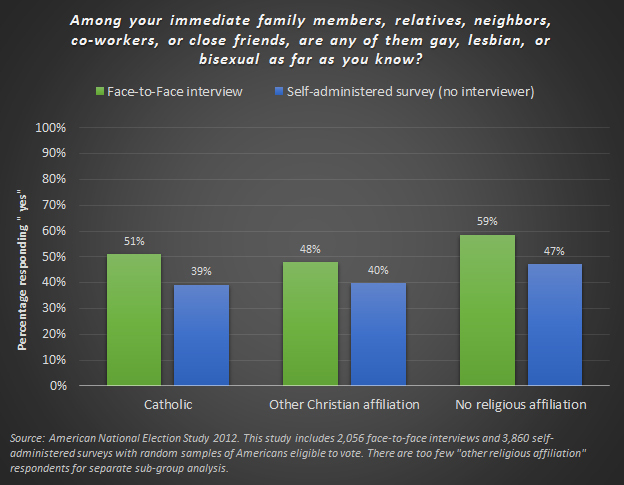 Not only does CARA have its national surveys of adult Catholics, we also have in-pew surveys of Catholics, and surveys of pastors where we ask for their parish's October headcount numbers. These can set the October baseline of our week to week Mass attendance estimates. But then how do we know how many attend in February or June? There are a few other pieces of information we can use. CARA has asked about Mass attendance on Ash Wednesday and we've also asked about Christmas and Easter. Our national surveys estimate that about 45% percent of Catholics attend on Ash Wednesday and about 68% attend at Christmas. To get estimates for other weeks we are taking a page from new methods used by hedge funds and the Centers for Disease Control for prediction and tracking. We've looked to Google Trends (...after first noticing the utility of this tool in 2009). You can learn a lot from what people are searching for on the most popular web site in the world. We arguably have never had so much data for what is on people's minds. Google Trends has been shown (1, 2, 3) to be predictive of car sales, opening movie box offices, unemployment claims, travel trends, the geography of Lyme disease, and so much more. Can it predict Mass attendance? Yes. We tried several different combinations of Mass related search terms. In the end a simple two word combination worked best: "Mass times." There is a core of the self-identified Catholic population that attends Mass every week. What makes Mass attendance rise above this core are those attending monthly or only on days of obligation. When these individuals choose to attend they are often checking in with Google to see what time (and perhaps where) they need to go. What happens when we use Google Trends search volume data for "Mass times" to put our known October data points in motion? Something extraordinary. 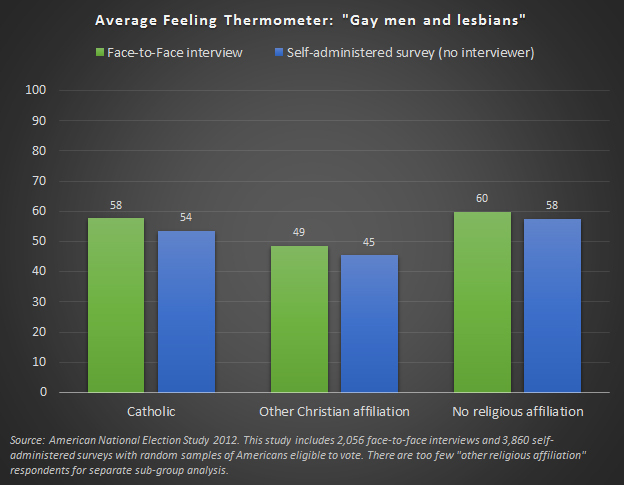 It "predicts" Ash Wednesday and Christmas attendance that is nearly identical to our survey-based estimates (...Easter is a bit lower than we expected. 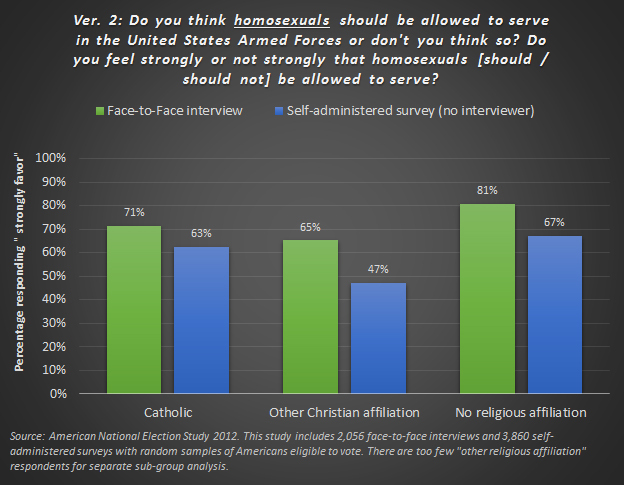 This may be related to Easter coinciding with Spring Break and vacations away from local parishes for some Catholics). It also shows the upticks we expect on other days of obligation. This is shown in the figure below (click to see full-size). We use multiple years of U.S. Google Trends data to generate this figure. In doing so, we have made Easter an "immovable feast" for demonstration purposes (averaging Ash Wednesday and Easter attendance into single weeks). 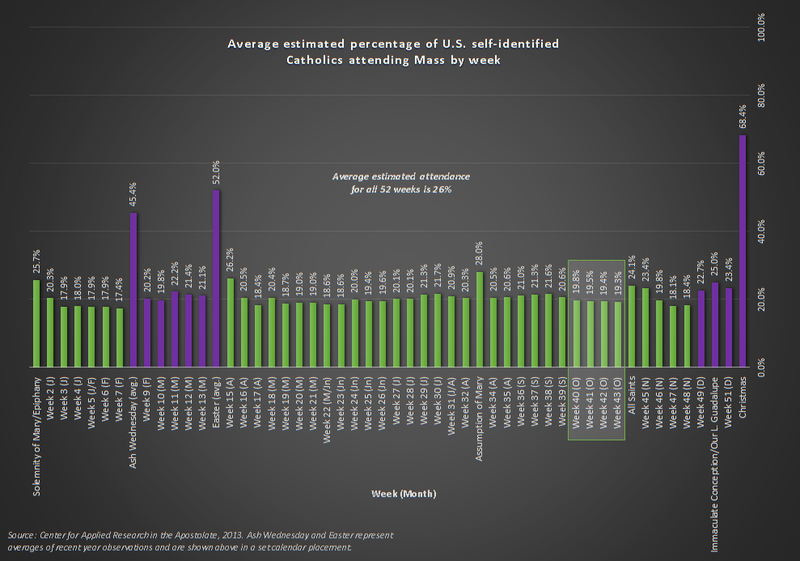 One can see that the lowest levels of Mass attendance are typically during February before Ash Wednesday and in November before Advent. Outside of Christmas, Easter, and Ash Wednesday the next highest level of of attendance is estimated to be in August for the Assumption of Mary. On average, across all weeks Mass attendance is estimated to be 26%. 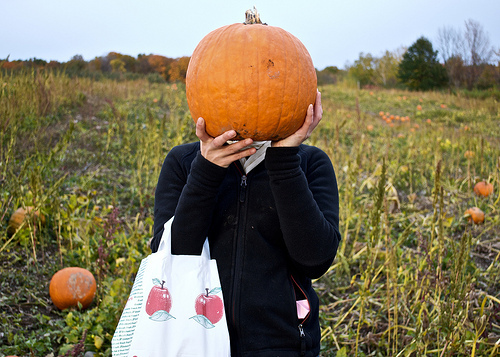 In October, we estimate that about 80% of self-identified Catholics are "headless." Now for something completely different... Last week I gave a brief introductory presentation before a Georgetown viewing of The Exorcist. I am also teaching a class this semester on Catholicism on film and we spend a week looking at The Exorcist and other Catholic "horror" related films (...even though William Peter Blatty has said his intention was not to scare audiences). What is most interesting to me is the historical connection between Georgetown and the film. Blatty, a Georgetown alum, became interested in the real story behind the film as a student. 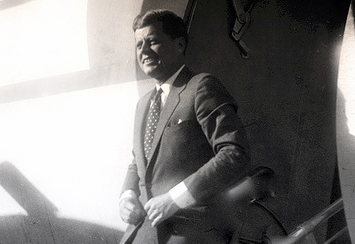 He like many others read this piece in The Washington Post by Bill Brinkley about the case in 1949 (documenting "one of the most remarkable experiences of its kind in recent religious history"). He ended up doing a thesis on the case and acquired a copy of the Jesuit case study for the boy named Ronald (this is often referred to as a "diary"). The film, and the book on which it is based, have little resemblance to the case study. Some of this was likely intentional to protect Ronald's identity (in the movie the child is named Regan and in real life the pseudonyms Robbie and Roland were often used). But other aspects, including much of the most gruesome horror and nearly all of the Georgetown connection was invented. Here is an example of a story in the Catholic press that mirrors the "real story" that many people have come to know. This example was written in 1998. A year later, Mark Opsasnick, a local author and journalist, would uncover a very different story and even track down the adult Ronald living in Maryland and speak to him by phone (the last known public record related to Ronald is a 2006 traffic ticket) as well as one of the priests involved. Opsasnick's work has been used as a model for community-based investigative journalism in some college courses. He used phone books, property records, school yearbooks, and interviews with people in the community to track down a treasure of unknown details about the case. Like Blatty, he also came across a copy of the Jesuit case study. You can as well if you look hard enough. The copy I found is consistent with other descriptions I've read of the document but I cannot attest to its authenticity. If tonight is like many past Halloweens, some will gravitate to a lot on Bunker Hill Road in Mount Rainier, Maryland. This is thought by many to be the place of Ronald's childhood home. As Opsasnick has shown, no boy resided in this home and his actual residence in 1949 was in nearby Cottage City (pictured above). 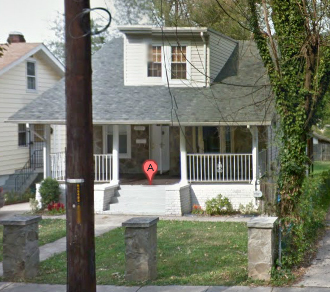 The house used in the film on Georgetown's Prospect Street was only used for its exteriors and its proximity to the famous stairs. You can also find a now well known picture of Ronald if you look hard enough. It's his senior photo from a famous D.C. Catholic high school (he was raised Lutheran but converted to Catholicism). The "real" story has a much happier ending than the film version. First, no Jesuits were killed or even injured (other than perhaps a punch in the nose). Second, Ronald went on to live a "normal" life, with a career and family (...not entirely normal as he has reportedly been contacted by a few fans of the film who have "connected the dots" from Opsasnick's research) . What the film and the former version of the "real story" get wrong is the strong Georgetown connection. According to the Jesuit case study I am aware of, Ronald's mother asked Fr. Albert Hughes, a parish priest at St. James Catholic Church in Mt. Rainer for help. He suggested using blessed candles, holy water, and prayers. He sought permission from his archbishop to perform an exorcism (...in modern times, the Church has always viewed claims of possession with skepticism and required medical and psychological examinations). Ronald was admitted to Georgetown Hospital for evaluation. However, it was unlikely that Fr. Hughes had yet received any permission for exorcism (as noted below he would later receive this). There is no record of an initial exorcism at Georgetown in the case study (... thus, there is also no note of Fr. Hughes being stabbed in the arm with a bed spring at the hospital). Ronald's family soon left to stay with relatives in St. Louis before anything else could happen in Georgetown. There, the boy came under the care of Jesuits at Saint Louis University. Permission was eventually given by the local archbishop to perform an exorcism. This did commence. At some point the family wished to return to Maryland. By this time permission had also been given locally for an exorcism. However, the Jesuit case study notes that the priests involved "tried several hospitals in Washington, but because of the nature of the case no one was willing to accept the burden." The family eventually returned to St. Louis and an Alexian Brothers Hospital and the exorcism was completed. According to the case study, what the film and the real real story share is that the teenager played with a Ouija board and initially experienced "tantrum sleep" from which the boy could not easily be awoken. A variety of other strange phenomenon are reported in the case study but these were not directly witnessed by the priests (...however, the boy's family, his teacher and classmates, as well as Lutheran clergy did). During exorcism, Ronald is said to have exhibited "diabolical spitting" and "biting." There was "bed shaking" with "tantrum" where "strength beyond the natural power" of the teen was exhibited (in some cases it took three to five others to hold him down). Ronald used Latin, which he did not know, but it is noted that he may have been mimicking the priests. There was "violent shouting and fiendish laughter" including very foul and sexual language. There is one report of an object moving by the priests ("bottle from a dresser [moved] across the room"). Ronald said he had visions of a priest in the room being in Hell in the future. The case study reports "body markings" and "brandings." However, some possibility of these being produced by the teen is noted. 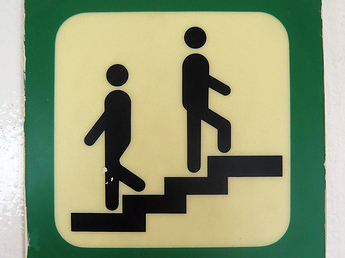 There was no head spinning, levitation, or spider walking down stairs. Hollywood frequently has to go over the top with history to make a film entertaining and compelling. However, if you read the journalism about the exorcism produced in the last decade it is just as fascinating in my opinion. For me, the most reassuring aspects of reading Opsasnick's research and the final notes of the case study is that Ronald went on to live a seemingly normal life. No matter what one's opinion is of this case, that seems to be the most important result. I also find it weird that some Catholics seem to believe the film is sacrilegious. Blatty was and is a devout Catholic. Georgetown rarely gives permission for movies to be filmed on campus (e.g., St. Elmo's Fire was shot at University of Maryland). 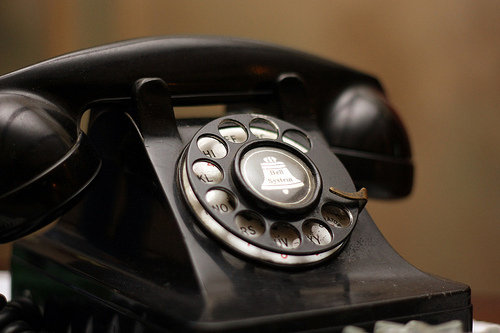 More so, the U.S. bishops are on record as not considering it "morally offensive." They note is is "strictly adult fare" and that it is "on shaky ground theologically" but Catholics are not in any way "banned" from seeing it... or digging a bit into history to see what really inspired the film. To my surprise, reviewing survey data before my talk, I also found that belief in the Devil (and Hell) in the United States is actually on the rise. If this is occurring more specifically among Catholics as well this may foreshadow fewer headless Catholics in the future. This is the wife of Broncos Def. 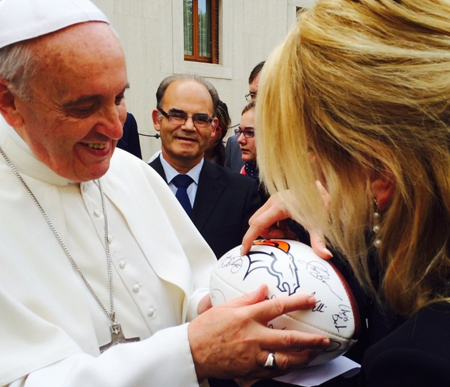 Coordinator Jack Del Rio, Linda, giving Pope Francis a football signed by the Denver Broncos (...oddly enough one of my Georgetown students, doing an independent study on the Vatican and in my film class as well was present with this group, The Patrons of The Arts in the Vatican Museums). I know Pope Francis is a fan of Club Atlético San Lorenzo de Almagro. American Football is not his game. But perhaps handing a ball off to Pope Francis for a moment could be a sign of more happiest moments to come (...we tried Tim Tebow and he only got us one miraculous playoff win, "The 3:16 game"). "Headless" image courtesy of Ben in CHI. Pope Francis image courtesy of Patrons of the Arts in the Vatican Museums. 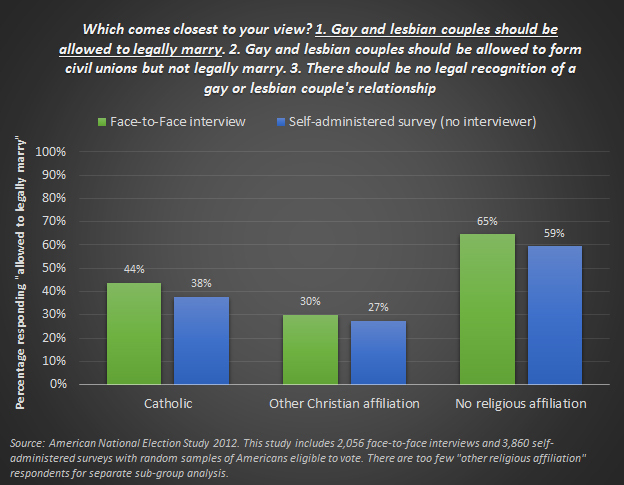 2) The Pew Research Center's FactTank blog (...normally very well done and just plain cool) followed-up by posting an entry saying the Church had "acknowledged to The New York Times that demographics are a factor" in their support of legislation. 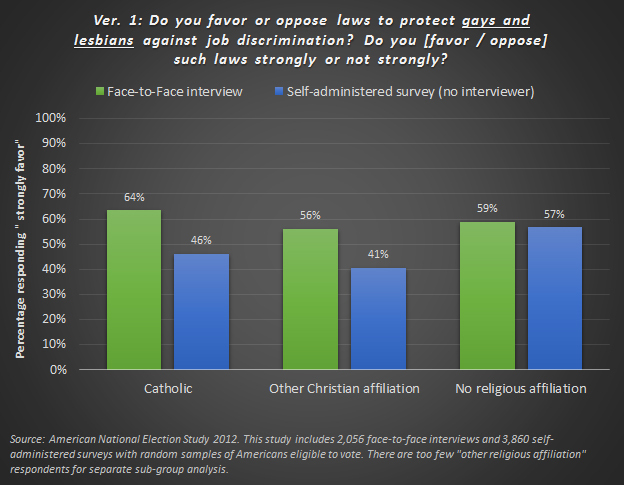 In Pew's defense they were providing some good data on the topic of immigration reform. However, the original title of the post (now changed) rather unfortunately appeared to highlight the role of demographics as a sole motivation—as if the Church was just looking to "pad" its numbers (...I don't think this is what they intended to communicate). This headline drew the attention of The Drudge Report, which linked to the post over the weekend. 3) Now, two steps and several days removed, The Economist (...yes that Economist) has stepped forward to "explain" and answer for us all, "Why is the Roman Catholic Church supporting immigration reform?" They provide a solution to this mystery by noting (and citing Pew, citing the Times): "One possible reason why the Catholic church is keen to cultivate Hispanic migrants could be that, if some of the immigrants are more socially conservative, their voices could become louder on topics such as contraception and abortion, over which the church has clashed with the Obama administration. Welcoming more Hispanics into the country would also swell congregations, extending the church’s influence from pulpits to polling stations" (...never mind that Hispanic Catholics lean heavily Democratic. Maybe some of Pew's data doesn't make it across the pond?). So there it is. All the dots are now connected. It's all probably a vast right-wing conspiracy. Now I get it! Thanks Economist. Wait... The Economist is a European publication. You'd think they would know better with the Catholic Church also strongly and similarly advocating for the rights and well-being of immigrants in Europe. A recent Los Angeles Times story profiles this reality under the headline, "In Italy, protecting immigrants crosses the faith line." Here the story notes that: "In Europe, as in the United States, the Roman Catholic Church has assumed a leading role as a protector of, and advocate for, immigrants. But whereas the largest bloc of migrants to the United States are Catholic, the majority of European immigrants are Muslim." What "underlying motivations" can The Economist possibly uncover here? What was that about demographics again? There really is no mystery or conspiracy to any of this. No need to look next at the symbology in da Vinci paintings for more answers. Instead I'd recommend "The Compendium of the Social Doctrine of the Church,” available on the Vatican website (...The New Testament would work as well). The Church encompasses a global faith that was around for many hundreds of years before the U.S. ever appeared on a map and 94% of the world's more than 1 billion Catholics live outside of American borders. If a number of Catholics move from country A to country B, the number of Catholics in the world does not get any larger! The Church has no interest in amassing the faithful in any single country for political purposes or any other reason I can think of. What it is doing is supporting people, Catholic or not, who are vulnerable and in need ("harbor the harborless"). The sanctuary and support the Church provides to people often living on the margins is at the center of its mission in the world (...Am I the only one really following Pope Francis on Twitter?). With that said there is certainly a lot more material for journalists to work with beyond immigration. 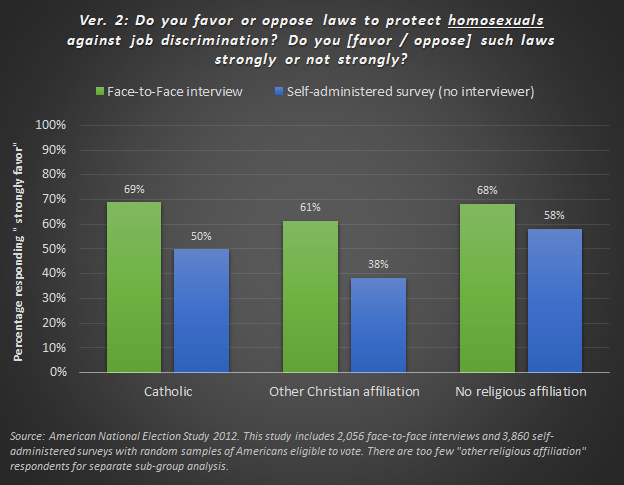 Who will uncover the "conservative-leaning" conspiracies behind the Church's support for state social welfare programs, just wages, gun control, and labor union rights? What is really behind the Church's opposition to the death penalty? How long until some hard working journalist discovers the secret Church document that outlines the real and complete political agenda of the Church in the United States (or this online stash of copies of actual correspondence sent by bishops to government leaders)? Even Church involvement in foreign affairs is coming under the careful microscope of American journalism. Some are now highlighting the Pope's seemingly "anti-Obama" stance opposing military intervention in Syria. 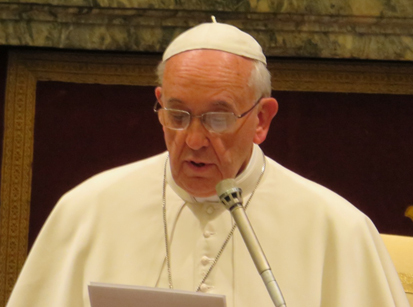 Mark Phillips of CBS News lamented that Pope Francis has been "uncommonly active" using "strong language" and had "taken sides" as he "entered into the world of partisan international politics" in a manner that is "music to the Russian president's ears." One more conspiracy down. Everyone already knows the Church is highly motivated to support a former KGB officer. Makes perfect sense. On top of that, CBS referred to the Pope's widely attended prayer vigil as a "religious street protest," as if the Pope had organized a Tea Party rally. Mark Phillips really can't recall the Catholic Church ever opposing war in the past? Did it support U.S. military intervention under Republican administrations? "The cycle is familiar: A pope says something about a controversial issue that doesn’t fit the media’s semi-informed preconceptions about Roman Catholic teaching, a firestorm of coverage follows, and then better-informed observers are left to pick up the pieces and explain that no, actually, the pope is just reasserting an idea — an openness to Darwinian evolution, the possibility that nonbelievers might go to heaven, pick your controversy — that the church already accepted or believed or allowed to be considered." Image above courtesy of Dhammika Heenpella at Flickr Creative Commons. The Obama Administration recently turned its focus to non-profit higher education releasing plans to create government rankings for colleges that would eventually be linked to the availability of federal financial aid. As The Washington Post reports, "Obama aims to use executive authority to begin rating colleges by the fall of 2015 on criteria such as average tuition, scholarships and loan debt; the share of students receiving need-based Pell grants; graduation and transfer rates; graduate earnings; and the number of graduates who obtain advanced degrees." The aim of the plan is to make more information available to parents and students and to create pressures that might make college more affordable. For-profit colleges have already faced a similar treatment (...oddly enough triggering the recent sale of The Washington Post). The real test of the newly proposed ranking system is how it will combine all of these factors (note that scores in 2015 would likely be based on what happening in higher education in 2013-14). How will these be weighted to create one score to allow for ranking? Expect this to be one of the most contentious issues of debate if the Administration seeks to link the rankings to availability of financial aid. Perhaps the biggest problem with the proposed ranking is the inclusion of "graduate earnings." Where will these data come from? There are survey-based measures (e.g., PayScale) but these can lead to inferences about colleges and universities based on very small sample sizes. It is not easy to find a significant number of graduates from small colleges and universities in a random sample national survey. There is simply no existing infrastructure that could provide an income census that would allow for reliable and valid estimates for graduate income by college. Perhaps the reform could require individuals to name colleges attended on their IRS tax forms. Without something like this, there is no existing methods that will provide reliable and valid data for every college in the country. Yet even if we did start putting our colleges on our tax forms how do we disentangle these data for students who attend multiple colleges and earn multiple degrees? I may attend a junior college and then transfer into a small four-year liberal arts college and then go onto medical school. As a surgeon I will likely earn a very high income. 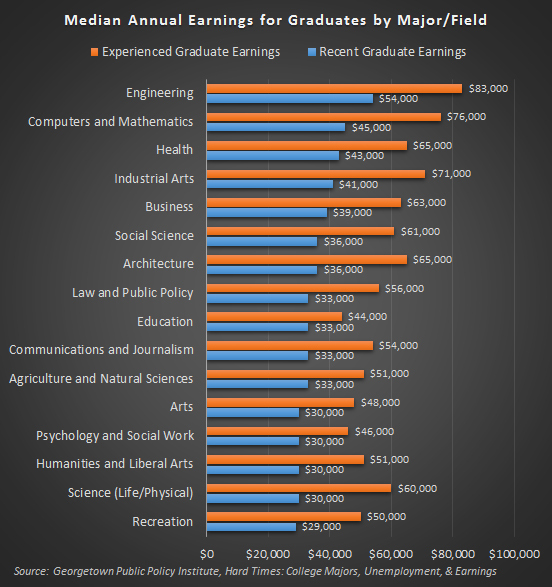 My undergraduate education played some role in this (it helped me get into graduate school) but would it be fair to link my mid-career salary back in full to the junior college and liberal arts campus? No matter what shape the formula takes, any major policy change could have a number of unintended consequences. For example, The Affordable Act will undoubtedly provide more people access to health insurance but the employer mandate may also make it more difficult to get a full-time job (i.e., 30 hours or more) and some employers appear to be dropping coverage for spouses. If the proposed college rankings are linked to federal financial aid, colleges may look to boost their position by cutting tuition costs by freezing hires of new professors and using more part-time adjuncts and graduate students to teach classes. To improve prospects for graduate earnings and employment they may drop degree programs and majors that "under-perform" in the job market. Colleges may forgo offerings in social work, humanities, and liberal arts for more engineering, computing, mathematics, and health programs (...the top school in the country for 30-year ROI is Harvey Mudd College which focuses on engineering, science, and math. Graduates from this campus receive an average $2.1 million 30-year ROI). Many may say that's just what America needs! But there will always be a need for liberal arts—even for engineers. If a college is faced with losing access to aid why would they ever accept students who could "jeopardize" their scores? Students (and their parents) might be required by colleges to undergo background and credit checks before being accepted as a means to predict their likelihood of default on any loans. They may become even less likely to enroll potential students who do not have the best test scores and grades as these individuals may be deemed less likely to get a high paying job after graduation. The reform may make colleges for the "privileged" and "elite" even more fitting of this stereotype. It has the potential to put a hard brake on the socioeconomic mobility college has traditionally provided students (...one positive unintended consequence might be an increase in resources for career services and post-graduate job placement on campuses in an effort to maximize graduate earnings). Catholic colleges and universities are also private institutions operating without state subsidies. This creates a built-in disadvantage when it comes to tuition cost. Students attending public institutions pay lower tuition, on average, as the taxpayers of the state they are in often help underwrite the operations of those colleges and universities (these benefits are usually focused on students with in-state residency). It is unclear if the new system would take this institutional difference into account and factor in costs to taxpayers as well as parents and students. The proposal also may end up limiting choice. Under the current system, the federal government invests in students not institutions with grants and loans leaving it up to the individual to select the accredited college of their choice. The proposed reform would presumably limit aid for colleges that do not rank highly and thus steer students to federally preferred institutions (...if the policies mirror the reforms used in for-profit higher education minimum performance benchmarks may be set. Campuses who fail to meet these benchmarks would either have their access to aid reduced or cut off). The national perspective of the rankings would ignore the reality that many students choose a college within a local region and save significant money by living with their parents or other family. Thus a college that may not be deemed by the government as "affordable" in the abstract may actually be the most affordable to that student geographically speaking. If aid is limited on this campus they may be forced to look elsewhere and pay significant room and board costs. The proposed ranking system also over-emphasizes monetary factors. It would deny the reality that some people do not make career and education decisions based on simple dollar costs and benefits. For example, many Catholics choosing to go into ministry are not chasing engineer-like incomes. Yet it may cost them significant sums to obtain degrees and certifications to work in this field. They may be willing to make a greater sacrifice to earn these for their love of a vocation—even if the government tells them that this is a "bad value" (note the starting annual salaries for undergraduate religious studies/theology degrees average $41,000 with mid-career earnings rising to $48,000). The rankings may also be a big problem for many of the newer small Catholic colleges that have emerged in recent decades. Some of these campuses market themselves as "traditional" or "orthodox"—a place where parents can feel "safer" sending their children and having them graduate with even more faith than they entered with. I am unaware of any academic or other professional study that has systematically measured the success of these claims. However, there is some existing data for how well some of these campuses may rank under the proposed system and the news there could be problematic. As with any new campus there are growing pains in establishing an identity and credentials (e.g., obtaining accreditation, developing a reputation with employers). These colleges also have small numbers of alumni making it difficult to make inferences about career success and salaries of graduates. Some of these schools could struggle under the proposed ranking system. When the government says it is introducing legislation to make something more "affordable" this doesn't necessarily mean it will cost less. I am not sure the proposed college rankings and reforms would, as intended, make college any cheaper. Yet, with or without government intervention, a market correction to college costs is likely on the horizon. Similar to the dynamics of the housing crisis there is a real limit to what Americans can pay for college—their income. College costs can only consume so much of income before the bubble bursts. For example, from the 1970s to the early 2000s housing prices hovered around 300% of income in the United States. During the housing bubble, with exotic mortgages available (e.g., interest only, ARMs), housing prices approached 500% of incomes. There is only so much house a family can afford if incomes are not growing with prices (...and housing will not really recover until incomes grow, which will require significant reductions in unemployment. The current housing "recovery" may be a new bubble fueled by institutional investors targeting real estate). The same economics works for tuition or tulips. 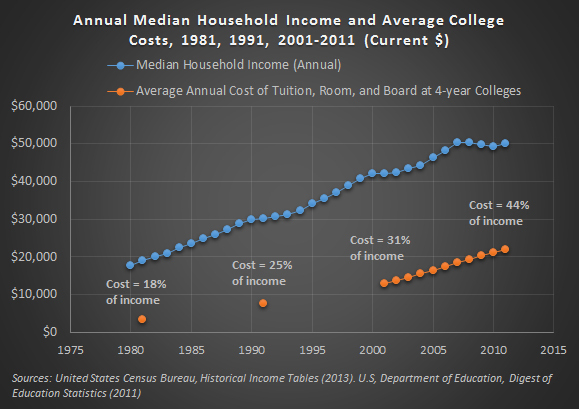 The figure below shows median incomes and average college costs (tuition, room, and board) in recent years. In 1981, median income was just under $20,000 per year and annual college costs were just under $3,500. Thus, college costs represented 18% of income. In 2011, college costs made up 44% of income, on average. Perhaps the simplest affordability reform available would be to cap the amount of federal financial aid available with annual adjustments linked to student population and an inflation index (CPI) or a measure of income growth to contain the formation of bubbles. Let parents and students continue to choose their campus (and major) but send a signal to colleges and universities that those choices will be made in an environment without rapid growth in the amount of federal financing available. Another sorely needed reform would be to allow judges to fully discharge student loan debt in bankruptcies where this is deemed necessary. Neither political party should claim that they are "working for" college students/graduates until such a change is made. Someone fighting cancer who loses their job should not have to possibly deal with government debt collectors—especially when the government is slated to make a healthy profit off the guaranteed student loan business (as a monopoly lender since 2010). College loans should be treated no differently than other types of consumer debt. In President Obama's remarks announcing the proposed reforms he noted that without change "the government will run out of money." If that happens it likely won't be because of college loans as these are adding to public coffers not draining them. In isolation, more information is also a welcome development. The marketplace certainly needs more than the traditional college rankings. But rather than coming up with another arbitrary single mechanism that can rank all colleges, perhaps the government could simply make existing resources, that would likely provide the backbone of the new rankings, more accessible and user friendly? Give people the information to find the exact type of campus that fits them rather than trying to press the higher education system into one mold. Market corrections can be jarring and very painful and the government can try to foster a softer landing. Hopefully these reforms will be thoroughly examined and damaging unintended consequences identified. Sometimes the side-effects of a treatment can be worse than the disease. A single score-based ranking of colleges pegged to availability of aid could be lethal to some campuses and the dreams of many young Americans. Catholic colleges would certainly have no immunity to these changes. Image above courtesy of Sean MacEntee at Flickr Creative Commons.